It's only January but Bourjois is already bowling me over for Twenty Fourteen - headed our way is one of the loveliest CC creams to hit our shores, with a matching concealer for good measure. 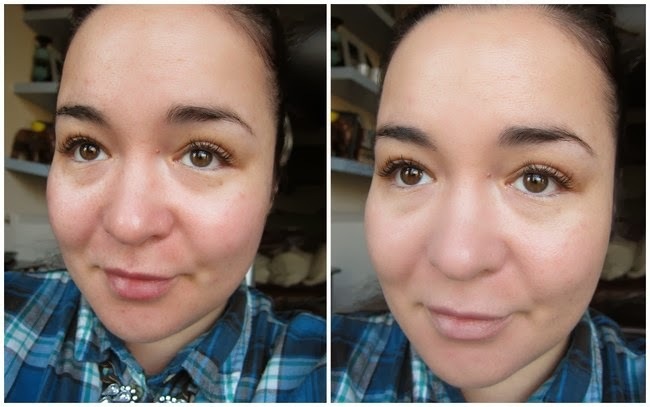 123 Perfect CC Cream is a light, fluid and oil-free cream that provides a surprising amount of coverage without looking or feeling heavy in the slightest - I think my before and after shots speak for themselves. I am amazed with how it's tackled my post Christmas blemishes and redness and livened up my mid winter face - plus, it wears really well and feels nice and hydrating on the skin throughout the day. The matching concealer, €10.49, is also lovely and light reflecting and the two work great together, but the CC cream's the star. Available in three shades, it's brilliantly priced at €13.99 and comes with SPF 15, to boot. I'm wearing them here with the brand's recently launched 24 Hour Cream shadow in Kaki Chéri, a pretty, antiquey olivey/gold shade that I've fallen for and fallen for hard. Despite comparisons, these are really nothing at all like Chanel's Illusion D'Ombre shadows or the Lancôme lovelies I showed you here; those have a definite mousse texture which is springy to the touch, whereas these are cream-to-powder and have lots more slip - at least on application, but they quickly dry down. Where they are similar is in the lovely shimmer packed shades - these have less pigmentation than the other brands I've mentioned, but are no less lovely in their more understated ways. For a bit of subtle, daytime appropriate sparkle, these babies have your back. 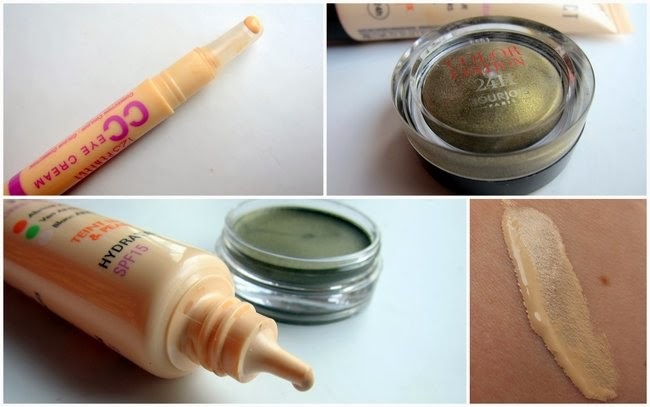 Look for the CC cream and concealer from January 23rd (these were press samples); the shadows, €8.99, are on stands now. Great review hope the cc cream comes in a decent pale shade! Looks amazing on you, love the lightening effect. A friend's coming over from Ireland at the end of the month, and I asked her to get some stuff for me - If I hadn't already broken open a bottle of Esteé Lauder BB cream, I'd hae to beg her into getting this for me as well. I will make a note of it, however, for the next time I'm in Ireland, because it looks fab! Wow!! It looks amazing on your skin!! Bourjois bases are my favourites on the highstreet. 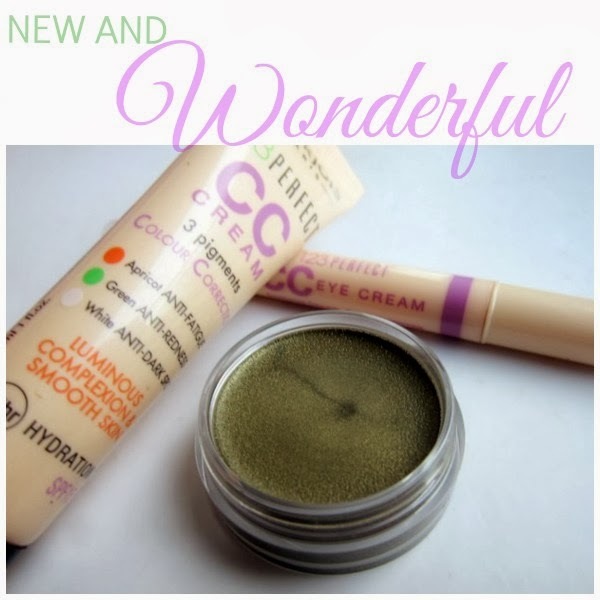 Can't wait to try the CC cream! Thanks for the review! I need to check out this brand and hadn't previously heard of them. This CC cream sounds pretty impressive and looks amazing on you! I'll have to look for that eye cream! I need to get me some of THAT! HaHaHa Amazing Emma! Ooh these look so nice, I always think Bourjois do a good job with their base products! I must try. I am always on the hunt for a good concealer and I am a drugstore girl. Holy cow! That stuff is amazing! I need to get me some! Thank you so much for the great research! The CC cream looks impressive but the eye shadow is gorgeous. Bourjois have really been killing it lately.